Francis M. Patterson, 80, entered eternal rest on Friday, November 30, 2018 at Edinburg Regional Medical Center in Edinburg. She was born on Saturday, January 15, 1938 in Edinburg, Texas to Jesus Mendez and Josefa Moreno Mendez. 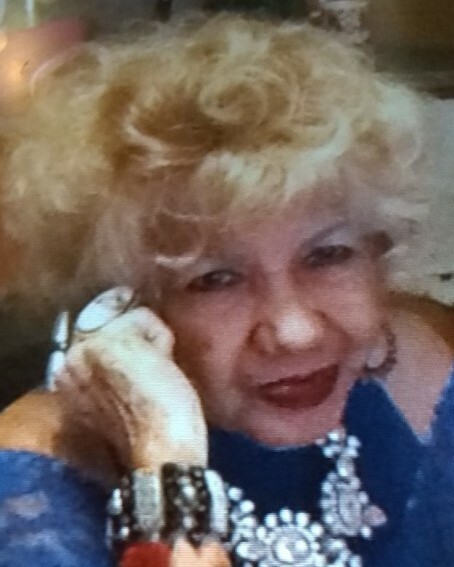 She is preceded in death by her parents, husband; Thomas Patterson and son; Eliseo Cabrera, Jr.
She is survived by her children; Jesse Patterson, Tommy Patterson, Yolanda Trevino, Virginia Sandoval, Irma James and Larry Guzman, brothers; Juan Mendez and Jesus Mendez, Jr., sister; Hela Torres, 25 - grandchildren and 45 - Great grandchildren. Francis lived in Edinburg all of her life and was a member of Sacred Heart Catholic Church. She was a hard worker and was always helping others. She was a very happy person and loved to dance. She was a loving mother, grandmother, sister and friend. She will be dearly missed by her family, friends and all those whose lives she touched. Her family will receive friends on Monday, December 3, 2018 from 5:00 PM - 9:00 PM with a Rosary to be prayed at 7:00 PM in the Chapel of Peace at Ceballos-Diaz Funeral Home, 322 East Kuhn Street in Edinburg. Catholic Mass will be hold on Tuesday, December 4, 2018 at 10:00 AM at Sacred Heart Catholic Church, 501 East Kuhn Street in Edinburg. Catholic burial will follow to Hillcrest Memorial Park Cemetery, 1701 East Richardson Road in Edinburg. Having the distinguished honor to serve as pallbearers will be: Jesse Patterson, Tommy Patterson, Yolanda Trevino, Virginia Sandoval, Irma James and Julio Galvan. Funeral services have been entrusted to Ceballos-Diaz Funeral Home in Edinburg.